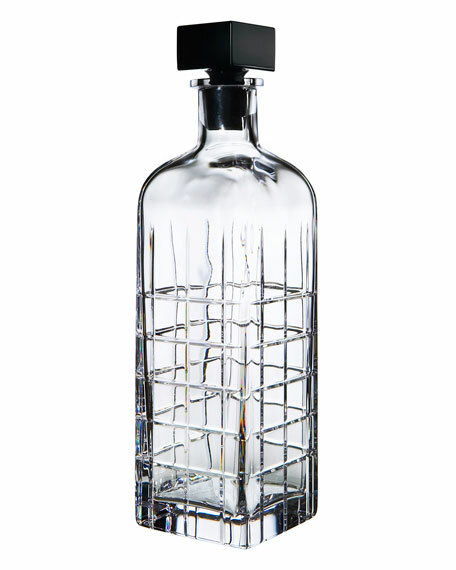 Decanter designed by Jan Johansson. 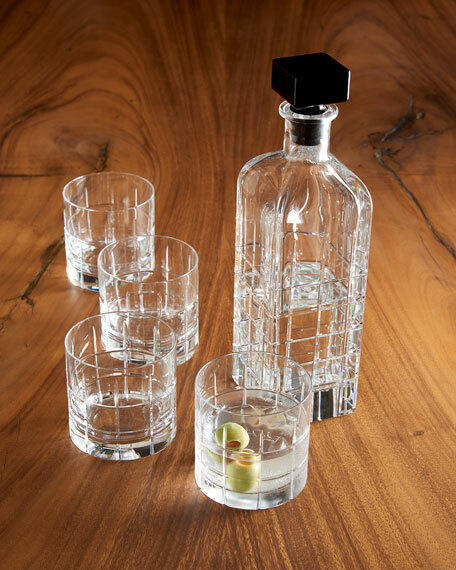 Glass with hand-cut grid pattern. 3.125"Sq. x 12"T; holds 35.1 ounces. 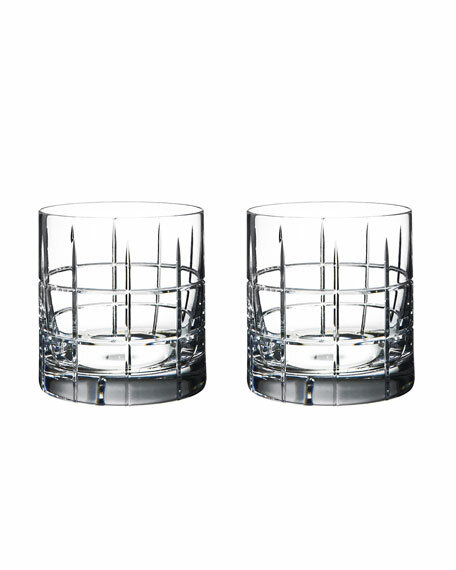 Double old-fashioneds designed by Jan Johansson. Set of two. Each measures 3.375"Dia. x 3.5"T and holds 13 ounces.